Akylas is a Civil Engineer graduated from the Aristotle University of Thessaloniki and worked abroad for 3 years at Archidoron NV in Egypt and Libya from the position of QS and Tendering Engineer and Assistant PM respectively. 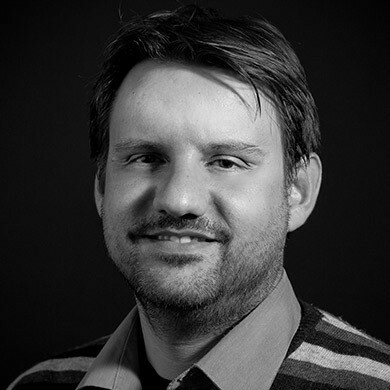 Akylas joined A&M Architects in 2014 embracing the Quantity Surveying sector of the company through the position of QS Engineer. Efficient and reliable, as Civil Engineer and Quantity Surveyor at A&M, Akylas is responsible for the organization and implementation of financial budgets, cost proposals at all levels of construction, as well as the coordination of the evaluation procedure for suppliers and sub-contractors. Finally he supervises the cost of all A&M projects and in all stages of construction. 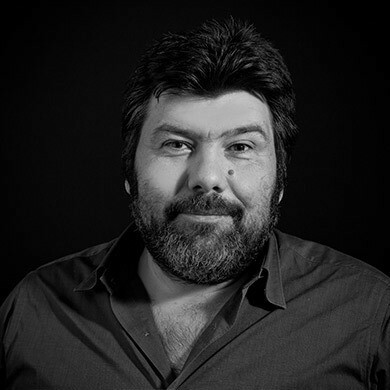 With 25 years in business development, staffing and organizing companies as a co-founder, shareholder and executive member of their Boards, Alexandros remains a “serial entrepreneur”, having successfully delivered a great number of specialized projects in Greece, Europe and Middle East. Since 2007, he is a member of the Board of Directors of Α&Μ, holding the position of Vice-President. 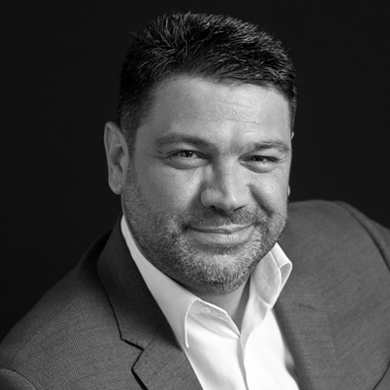 He coordinates the expansion of the company's business in new markets of Greece and abroad, takes part in reorganizing the corporate structures and supervises the establishment of strategic partnerships for the promotion of Α&Μ’s activities, giving an entrepreneurial aspect in architectural endeavors. A pioneer in striking new paths in the Greek market, as well as in the more demanding international markets, Alexandros is the backbone of Α&Μ. A registered Architect, Alexandros graduated from the 3 + 2 year course of Architecture at the University of Westminster, England, in 2002. He worked for renowned architecture firms in London (Porphyrios Associates, Conran & Partners) and Rotterdam (NIO) for 5 years and another 5 for firms in Athens (Manetas, AA, Panas Group). Lastly, he worked in a private practice for 5 years carrying out a large number of notable projects, such as office buildings, hotels, residences, shops and restaurants. Alexandros became a member of the A&M team in 2015. 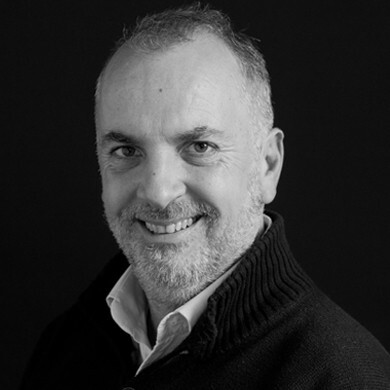 With methodical work and team spirit, Alexandros leads his new team of architects and designers from the position of Design Leader and coordinates the design of projects with particular demands and specifications, always achieving the desired, the possible and the unique outcome. 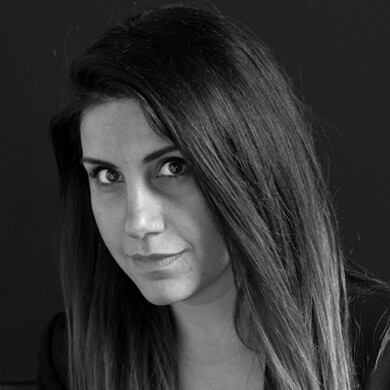 Athina joined the Α&Μ Interiors department in 2009 and since then she offers interior design services for the challenging A&M residential projects, which require for meticulous attention to the slightest detail. Athina graduated from the VAKALO school of arts & design of University of Derby at 2006 and prior to A&M she worked at Moda Bagno for approx. 3 years in Kitchen & Bath design. Her extensive experience and her ability to understand the client’s aesthetic and functional needs, is always shown in the final results and also the client’s satisfaction. 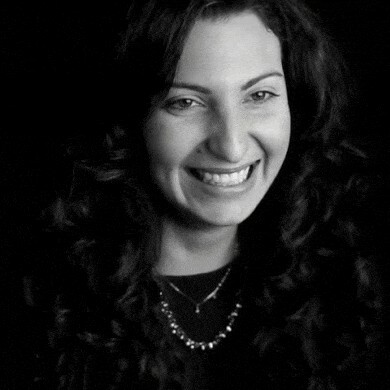 Her unique creativity, team spirit and broad knowledge of new design technologies are some of the qualities that compose Athina’s personality while her timely delivery of challenging projects continue to make Athina an important asset for A&M’s future. Graduate of the School of Architecture of NTUA, Christina is one of the oldest and most notable partners of Α&Μ. Her initial studies in interior design at the Technological Educational Institute of Athens and later her Masters in Industrial Design at Manchester Metropolitan University of England, make her an expert in architectural management of interior spaces. Her many years of experience in workplace design and her knowledge of the latest developments in office planning can be seen in Α&Μ’s successful projects. Being an artistic and authentic person, she has left the marks of her personality in every project she has taken on through the years of collaboration with the company (1997). Today, from the position of Design Leader, she organizes and methodically mentors a group of young architects in airport projects, but mainly in Corporate Office Design. 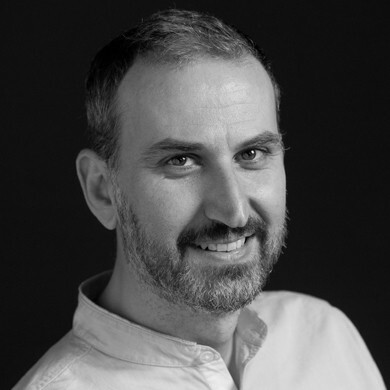 Christos graduated from NTUA's School of Mechanical Engineering in 1998 and joined Α&Μ in 2014, coordinating and organizing building sites from the position of the Construction Manager. 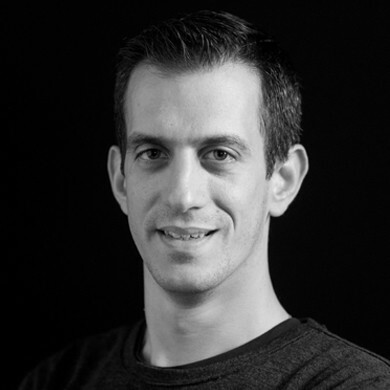 In his 17 years of work experience in planning and implementing private projects, Christos was involved in electromechanical installations and house construction, while he is a certified Energy Assessor since 2012. Hardworking, conscientious and consistent, he guarantees the organization of the working sites under his responsibility. His knowledge in mechanical and electrical installations, as well as his reliability in organizing and overseeing the working sites, make him one of the most efficient and valuable partners of our company in construction surveillance and management. 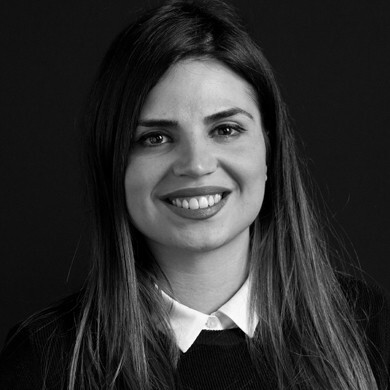 Esta graduated from the School of Architecture of NTUA in 2007 and continued her studies at the University College of London, obtaining an MSc in Construction Economics and Management. 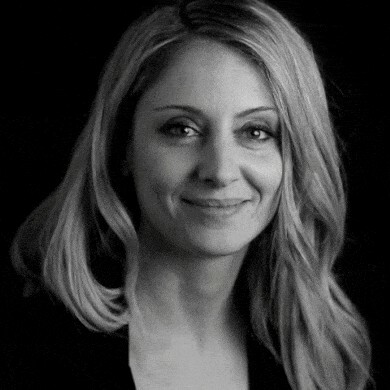 With a ten-year experience under her belt in designing and managing hotels, luxury homes and private yachts in Greece and abroad, she became a member of our family in early 2014. Initially, from the position of Project Manager, Esta represented A&M in the United Arab Emirates. Under her coordination and management from the dual position of Architect/PM, the company completed its projects at the airports of Abu Dhabi and Dubai in great success. Disciplined, with a strong sense of responsibility, Esta proved quickly her efficiency in the tasks she was assigned and today, from the position of Design Operations Manager, organizes and coordinates our company’s design projects and the communication with the clients, ensuring in the best possible way the smooth operation and quality production of Α&Μ’s planning activities. With her thorough knowledge on the procedures of the specifications and the special requirements of each project, she represents our company in the international arena, controlling the cost, the quality and the delivery time, aiming at achieving the goals of the project and the client. 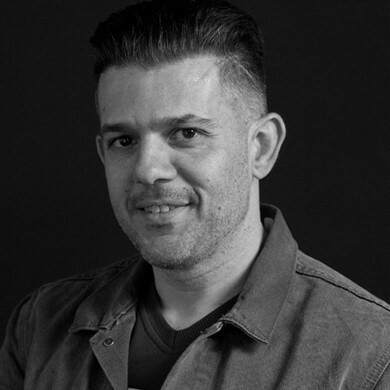 Having graduated in 2005 from the Faculty of Building Renovation and Restoration of the Technological Institute of Patra, Giannis continued his education and graduated in 2013 with an Architecture degree from the same university in Patra. 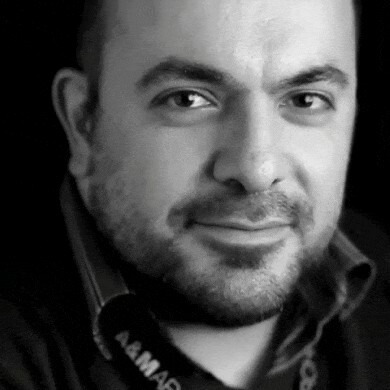 During his studies, Giannis worked in various positions in many architecture and interior design firms, creating photorealistic 3D models among other architectural services. In 2013, he reinforces A&M's creative efforts and quickly becomes part of our team. In 2015, he was voted “2015 Model of the Year” by the company’s employees, validating his impact on the people of A&M. Curious and always up to date on technology, he skillfully uses a wide range of 3D design software, which he constantly expands by using a large spectrum of tools. His perseverance and patience, his thorough knowledge of programs and tools as well as his previous work experience in similar projects have made Giannis a valuable member of A&M. Today, he provides architectural and other services from the position of Architect | 3D Senior Visualizer. 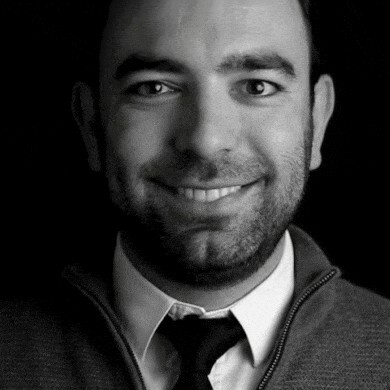 Giorgos, graduate of the Department of Architecture of Università degli Studi di Napoli, Federico II in Naples, Italy, returns to Greece in 2015 and incorporates the company’s endeavors in the office in Karpathos, since 2016. Other than participating in the company’s planning efforts, he supports the operation of the company’s office in Karpathos and coordinates A&M’s planning and construction projects on the island. His strong will to offer and support A&M’s activities, in combination with his experience in the architecture of the Dodecanese in the traditional setting, lay the foundations of his professional development in the company. 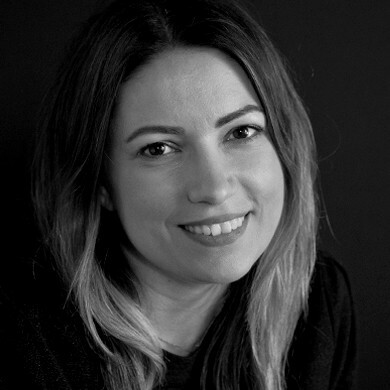 Eirini graduated in 2004 from the Faculty of Civil Engineering of Heriot-Watt University in Scotland, continued her postgraduate studies and graduated from Kingston University of England in 2006 with an MSc in Construction Management and Structural Design. Returning to Greece, Eirini worked for 2 years as a Civil Engineer and another year in Viohalco-Sidenor, before becoming a member of Α&Μ in 2009. Today, from the position of Quantity Surveyor & Procurement, she offers her knowledge in cost estimation, project and budget management, as well as in financial closure of projects. As a methodical and reliable person, she is responsible for preparing and organizing tenders for particularly demanding projects with large budgets. She records and analyzes all required work for each project, monitors the cost in every stage of construction, manages orders and coordinates the evaluation procedure of the suppliers and the subcontractors. 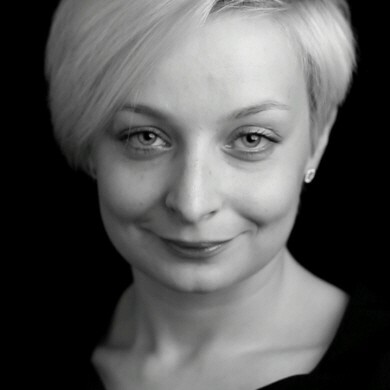 Joanna graduated from the School of Architecture of the Silesian University of Poland and continued her studies in Vitus Bering University in Denmark. She concluded her studies in Aalborg University in Denmark, obtaining a degree in Architecture & Design. She became a member of the A&M family in 2014, following a remarkable professional career in Denmark, Norway, Germany, Spain and Poland. 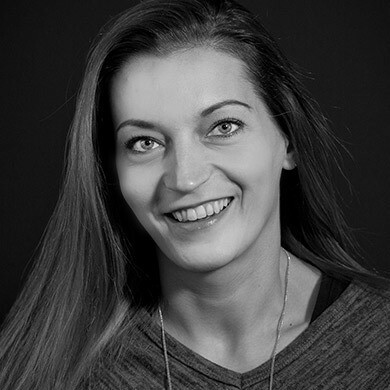 Initially, from the position of Assistant Project Manager, Joanna was an integral member of the A&M team, implementing the company’s projects in Abu Dhabi and Dubai, and later supported the company’s PM projects in Hungary and Russia. 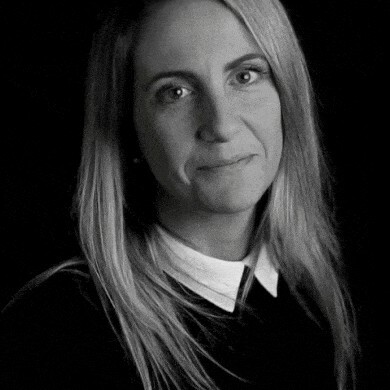 Disciplined, persistent and efficient, aware of the high design requirements and specifications of the international market, Joanna coordinates today, from the position of Design Leader, a fundamental design team in some of the company’s most demanding projects. 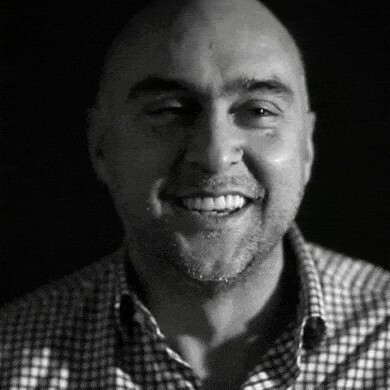 Lee was born in Brazil and raised in Melbourne Australia, where he obtained his degree in Industrial Design and Architecture in Victoria University. Having many years of experience under his belt, in well – known international firms, he moved to Greece in 1993. The same year joined A&M family and becoming “our man from Australia”. Being the A&M Design Director Lee is managing to communicate design concepts and inspire younger associates during design process. His interest in following global architectural trends is a continuous driving force and challenge to constantly evolve. Through his charmingly unpredictable and creative attitude, Lee has a unique way of looking into projects making him one of the most important A&M associates. Lia is a graduate of the Department of Business Administration of Athens University of Economics and Business and has a long professional experience in accounting organization of sociétés anonymes, as well as in tax, insurance and labor fields. She became part of Α&Μ’s financial team in 2015, overseeing the company’s accounting operations while fulfilling its tax and insurance obligations. Lia, an organized and methodical character, knowledgeable, consistent and efficient, guarantees the smooth function of the company’s accounting department, while her positive attitude contributes to the smooth collaboration and communication with its partners, in and out of the company. A graduate of Social Theology in 2008 from the National and Kapodistrian University of Athens, coming from a family involved in construction, Maria joined Α&Μ in 2009. Since then, she has managed to play a crucial role in the company’s administrative operation, carrying out her responsibilities with notable commitment. From the position of Administrative Officer, Maria supported the ongoing administrative and functional modernization of Α&Μ. Her work in every aspect of administration was the incentive to further her studies. In 2017, she completed the Athens MBA Program in Business Management, organized by the National Technical University of Athens and Athens University of Economics and Business. Being recognized by an increasing number of employees as “2014, Model of the Year”, Maria is currently offering her services from the position of Human Recourses Officer, where she coordinates the operation and supports the procedures of Α&Μ, helping the company to stay ahead in an ever-changing market. Maria graduated in 2003 from an Institute of Vocational Training with a diploma in CAD design, for which, one year later, in 2004, received a professional accreditation. She worked for 5 years in Electromechanical Design, order taking, costing and secretarial support and started working for Α&Μ in 2013 in client service and reception. Armed with a strong will to assist the clients and the know-how of a modern architectural practice, she carries out the complicated everyday operations of the office as Client Service and Administrative Assistant. Maria graduated as an Architectural Engineer from the Politecnico di Torino, in Northwest Italy, in 2015, with a degree in Architecture and Construction Engineering. After her graduation, she worked for the architectural firm Potiropoulos & Partners as an Architectural Assistant, before becoming member of the Α&Μ planning team in June 2016. With the forceful and fresh outlook of a new architect, she supports many important projects in Greece and abroad from the position of Junior Architect. Due to her honesty, directness and communicative character she has been embraced by everyone in the company and seen as one of the most promising people in the company’s future. Born and raised in Milan, Laura graduated from the School of Architecture of the Politecnico di Milano, Campus Leonardo, in 1999. After her graduation, she worked for 7 consecutive years in Italy for Dolce & Gabbana as Project Architect and for Fornari SpA as a Design Coordinator. In 2006, she moved with her family in Athens and worked for 6 years in Greece and Cyprus in Retail Design for Diesel & Mega Stores. Before joining Α&Μ in 2014, Laura worked for about 3 years as a freelance architect, taking up Retail and House Design projects. Forceful and sensitive, sharp, always exploring her taste, she is a source of creativity for her colleagues while leading them to the creation of unique and fruitful designs as well as inventive choice of materials and colors. 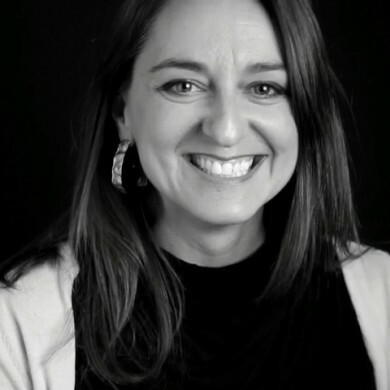 This ability, along with her experience in architecture, made her an essential member of the Interiors department, where she serves from the position of Interior Design Leader. 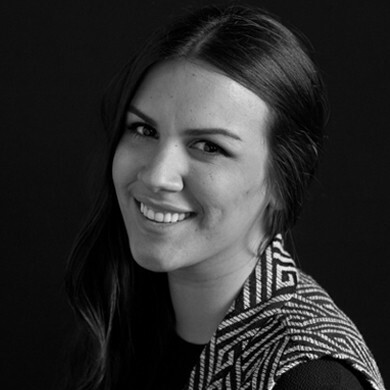 Marika, with professional and educational background in the US, graduated with a 5-year Bachelor of Architecture degree from the University of Philadelphia with a minor degree in Landscape Architecture. Her graduating thesis project on "Housing Informality" was nominated to represent the University at the Archiprix International Competition, among the world's best architectural student work. After gaining professional experience in the US, Marika received a Master's in Architectural Management and Design from the IE Business School in Madrid, Spain. Marika has worked at HDR Inc for three years and her experience varies from large-scale projects in regions such as UAE, China, US to mixed-use buildings, offices, academic and health care facilities including a patient center for the University of Pennsylvania in a direct partnership between HDR and Foster + Partners. 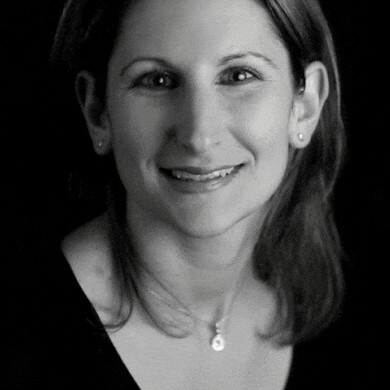 In addition to her practice, she served the Association of Young Professionals of HDR in the US through the elected positions of VP and President. Her leading role focused on skills and career development as well as maintaining a strong office culture. With her US experience and her interpersonal skills, Marika is a special and promising member of the A&M team. 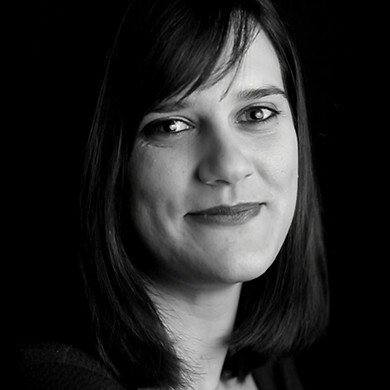 Marilena graduated from the School of Architecture of NTUA in 2010 and continued her studies at the University of Barcelona, at the Institute for Advanced Architecture of Catalonia, obtaining in 2012 her «Master in Advanced Architecture» on research of Digital Tectonics. Having worked in Istanbul, Paris and Athens, she joined Α&Μ’s team of architects in 2016 and today continues her studies at the Hellenic Open University for an MA in Graphic Arts and Multimedia. A productive, reliable and efficient Architect, she accomplishes every task assigned to her, achieving optimal quality, and has become one of the most promising members with a secure future in our company. 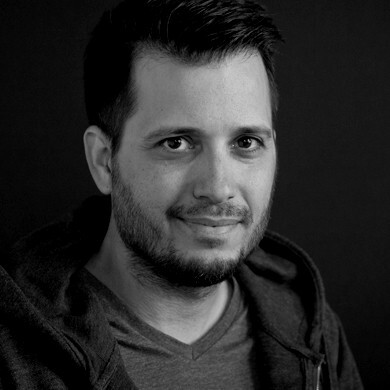 Marios graduated from the School of Mechanical Engineering of National Technical University of Athens in 2004. During his studies, Marios showed strong interest in the market, as since 1999, he had been working for 4 years, in an acoustic studies business. For 4 years after his graduation, he worked as head of the department of Quality System Development and later moved to Morocco to work as a Technical Director in a food factory. He returned to consultancy services for Quality & Environment Management Systems and finally, since 2010, he worked exclusively in retail and F&B shop construction, joining Α&Μ in 2013. Initially from the position of Project Manager, Marios represented A&M in the construction of the offices of WFW, OPAP, Regus, Stoiximan, SAMSUNG and others, and in La Pasteria, Flocafe, LeGrand Comptoir, Food Village, in Greece and Egypt. Under Mario’s coordination and management, the company was able to complete the projects on time, achieving the desired quality and within budget. Humble, methodical, persistent and patient, Marios proved his effectiveness and today coordinates and organizes the company’s construction activity as the Constructions Operations Manager. By keeping in touch with the clients, he ensures the smooth operation and unhindered development of their constructions. With his deep knowledge of quality systems and standards, but also of the special requirements, he represents our company following Α&Μ’s client-centered philosophy "Building Relationships”, making him a valuable member, necessary for the company’s future plans. 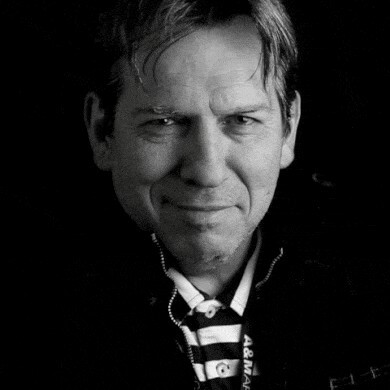 Michael studied Architecture at the National Technical University of Athens where he graduated in 1980 and later on obtained his Masters of Science in 1982 from the Carnegie Mellon University | Institute of Building Sciences. After graduating with a master’s degree, Michael worked in the USA and returned to Greece to found the A&M GROUP. The deep and well-rounded knowledge he possesses in Architecture and Design, as well as the constant need to search for new methodologies while treating each project as a challenge, are some of the main drivers of Michael’s professional philosophy. With an entrepreneurial and innovative spirit Michael believes in a creative collaboration, something that has been a distinct asset in the A&M attitude for many years. Michael has shaped A&M’s core values based on the philosophy and core value of a Greek family as well as the American mentality of professionalism. Today, Michael holds the position of Chairman and CEO of A&M Architects, broadening the company’s international outlook with his ability to create relations of trust and friendship with the company’s clients and associates. Nikolas graduated in 2016 from the Department of Civil Engineering of the University of Surrey in England, obtaining an MSc Degree in Civil Engineering. Focusing in Project Finance & Construction Management, he gains his first working experience at Α&Μ in the position of Junior Civil Engineer. He is always available and willing to learn, with a bright future ahead of him, and a tangible proof of the company’s intentions to bring in ambitious and capable young members from the European academic world. A graduate of the Department of Economics of the University of Piraeus, Nikos completed with honors the Postgraduate degree in Accounting & Finance in Athens University of Economics and Business and became part of our family in 2014. Insightful and systematic, he constantly proves to be excellent in managing the financial matters of a multidimensional company such as Α&Μ. Armed with his rich work experience, the thorough knowledge of the modern financial environment and his uncanny organizational abilities, he undertook the supervision and coordination of the company's business operation from the position of the Finance Manager. For Nikos, it is of vital importance to create the appropriate conditions and apply safety nets which ensure that the financial information entering Α&Μ’s systems is timely, valid, standardized and reliable. The in-depth analysis of this information leads to the best financial decisions for A&M. Olivia graduated from Vakalo School of Art & Design, department of Interior Design and Set Design, in 2000. During her studies, she focused on object and furniture design, and later worked for 2 years at the department of design and sales of Avax Deco. Her taste and esthetic choices led her to the field of home decor magazines, where she worked for 6 years as photoshoot creative director, feature (market reports) editor for the most well-known decor magazines, like Vogue, Life & Style (house), Casa Vogue, Maison & Decoration and Votre Βeaute (maison), and continued working for 3 years as a Visual Merchandizer for KOURTIS S.A. Olivia joined Α&Μ’s creative team in 2015 and is an endless source of inspiration for our Interior Design & Styling department. 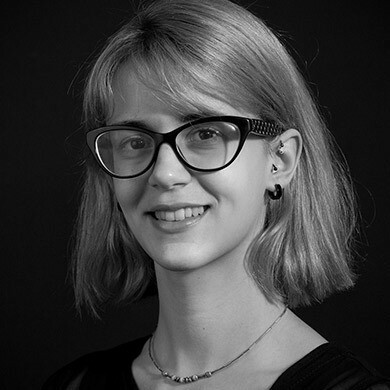 Armed with patience and inexhaustible creative energy, Olivia approaches the needs of our projects in her own special way, creating spaces with a unique identity. For Olivia, the design choices are a good motive for striking new paths in the atmospheric field of Styling. An essential member of Α&Μ since 2006, Panagiotis supports all the restructure efforts regarding Α&Μ’s software and hardware. 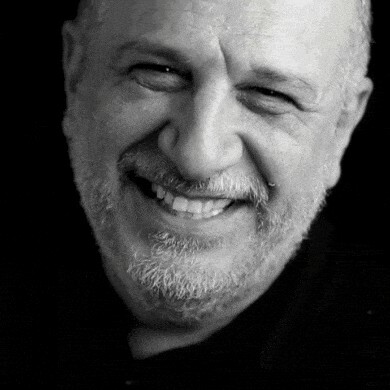 He holds a degree in Informatics from a Technological Educational Institute and with his experience in computerization departments and ERP software houses, he supported the configuration of ERP Entersoft, scripted special applications supporting the company’s procedures, and brought the hardware up to date, making A&M the most modern company of our sector in Greece. Today, the guru of informatics ensures, from the position of IT Manager, the smooth function of the computer and technology systems, as well as of company’s security systems. His passion for the electronic world and the depth of his knowledge make him a valuable member of the company, while through his unique character, he offers prompt and efficient support to all the employees of A&M, as well as to clients, whenever needed. 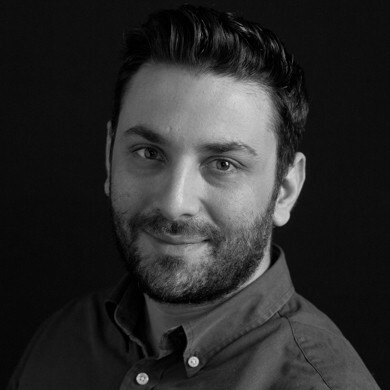 Pantelis is a graduate of the School of Architecture of the University of Brighton in England and obtained his Diploma in Architecture in 2008. With a 5-year work experience in Greece, he joined Α&Μ in early 2014 and pushed his design abilities even further. His presence in the United Arab Emirates in 2014 and his support in the design of the project at the airport of Abu Dhabi were a springboard for his later development, as he quickly gained more responsibilities from the position of Architect. Tasos graduated from the School of Architecture of Aristotle University of Thessaloniki in 1989 and continued his studies at the Norwegian Institute of Technology (NTH) in Trondheim, Norway. There, he familiarized himself with the simplicity of the Scandinavian architecture of which he quickly became fan of. The relationship between Α&Μ and Tasos begins in 1992, when he returned to Greece carrying his architectural experience and ideas that quickly took shape in his designs. His long professional experience in architectural design, his ability to thoroughly comprehend the client’s wants and needs, his enthusiasm for the clients’ dream as well as his need to understand, envision and make the above possible, is one of the reasons he is able to build strong bonds with them. 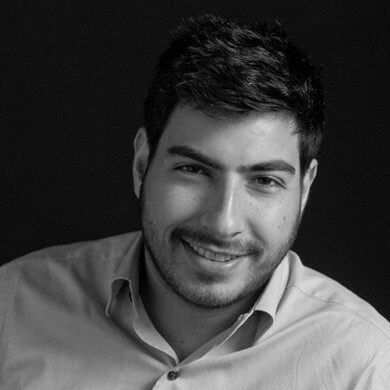 Today, Tasos works from the position of Senior Associate and is a member of the BoD, participating in the all efforts aligned to the company’s goals. Thodoris was added to the company’s roster in 2013, in the position of technical support and building maintenance manager. With great experience and skills in construction as he grew up in a family of furniture makers, he supports the company’s projects that are under construction, supports the engineers working in our construction sites and assists in difficulties they encounter. Earnest, hardworking, studious and effective, armed with his disarming kindness, positivity and honesty, he is a worthy representative of the company in tough missions, setting the standards of support high aiming for exceptional client service. Your application for registration to our newsletter was sent successfully! Check your email to complete your registration.